A market update is a great idea for everyone as we head into a new season. 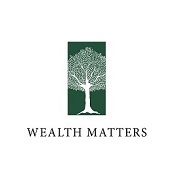 Please join us for Wealth Matters coming up on September 30th, 2015. The Wealth Matters presentation, hosted by Assante Wealth Management and CI Investments Inc., will provide a unique opportunity for you to gain economic insight from one of the country’s leading portfolio management teams, who will discuss the current outlook, market trends, and how they are positioning their portfolios to protect and reward clients. As part of the Wealth Matters evening, we will also be joined by Steve Patterson, comedian, writer and radio host. Steve is a Gemini Award-nominated stand-up comedian who has been featured at the Just for Laughs comedy festival in Montreal since 1999.